New Trapping Supply Products | Schmitt Enterprises, Inc. The name says it all. Pure skunk quill blended with natural oils to form a heavy gel. Extremely powerful and will reach out and call predators from great distances. Unlike most, this is not a Vaseline base that hardens in cold temperatures and clogs in the odor’s. Developed to be used at initiating bait station, predator sets, or as cover scent while hunting. The HAGz Bracket is a Multi-Use device originally designed for the water trapper. It can stabilize virtually any foothold trap, anywhere you mount it, plus it's a stake swivel and slide lock all in one! The HAGz Bracket unleashes new setting opportunities, improves efficiency and reduces overall costs. When combined with the HAGz Spring Clip (sold separately), trappers can stabilize Body Grip Traps, providing all the same benefits of the HAGz Bracket and Footholds, with Body Grip Traps as well. Uses your Trap's Frame End inserted into one of the appropriate slots to stabilize your trap. Always Attached to your Trap! Never lose or forget it. Can be used as an adjustable height set on 3/8" rods. Can be welded to a Stake or Lag Bolt. Multiple holes and slots for securing with Wire, Screws, Nails, etc. Small and non-intrusive, weighs roughly 3 oz. Trap Lighter, Faster, More Efficient and Open yourself up to more sets by putting a HAGz Bracket on your trap. Fits most #1.5 and smaller coil and long spring traps. Larger traps can still work but some minor filing may be required. The HAGz Spring Clip is a simple, non-intrusive device, originally designed for the water trapper using 160's and smaller. The HAGz Bracket + HAGz Spring Clip (sold separately) provide for all the Body Grip setting opportunities as the Bracket and foothold traps. Simply attach the HAGz Bracket and insert the HAGz Spring Clip between the spring coils. It's always there when you need it. Always Attached to your Trap! Never lose it or forget it. Fast and Efficient. No need to find the "perfect" stick that the spring eye will fit over. Small and non-intrusive, weighs roughly 1 oz and doesn't restrict the use of the spring eye. The XL version of the HAGz Spring Clip works just like the regular, except it is designed for 220's and 330's. Designed to work by itself on 1/2" rods or in conjunction with the HAGz Bracket (sold separate) for extreme versatility. Small and non-invasive, the HAGz Spring Clip XL is inserted through the spring coils where it remains always attached, never forget it, and doesn't interfere with the spring eye. Uses gravity to mount/lock in position on 1/2" rods. Simply slide it where you want and let go, easily adjustable to any height on the rod making it a very quick and versatile body grip stabilizer. Use it in conjunction with the HAGz Bracket (sold separate) to stabilize a Body Grip Trap virtually anywhere. Due to the size of larger traps, it is recommended to place a cross stick or additional rod between the jaws to prevent any spinning. Learn the systematic approach to increase your coyote trapping success. You'll be motivated to get out and gain new permissions, adjust and treat your gear precisely, and put more coyotes on the stretchers. With a thorough understanding of coyote location, and deep knowledge of all things coyote, Kellen Kaatz leaves nothing to chance in his style of coyote taking. Air up the tires, load up the pickup, it's time to hit the coyote trapline! Kellen Kaatz examines the critical elements of the art and science of Flat Setting. Get an inside look at multiple locations on Kaatz's working predator trapline as the fur season progresses. You'll gain valuable insights on weatherproofing sets, remakes, an understanding of lure and bait choices from opening day all the way into breeding season, and set variations to add to your catch next season. "In the Gear: From the Ground Up" bonus chapter, you'll get an in-depth breakdown from disposable staking options, chain setup, trap choices, and adjustment. By implementing these equipment upgrades, snapped traps, pattern misses, and pull-outs become a thing of the past. Join the Coyote Whisperer himself, Larry Karels, as he reveals his methods for taking hundreds of coyotes each season. This book covers the advanced methods for the canine trapper that wants to reach that last level as a trapper. Larry punches holes in some of the myths behind backing size, set construction, and lure usage. A must have for any canine trapper. "Commercial Standards for the Marketing of Wild Fur" Book details proper pelt handling in accordance with the accepted commercial standards. This 95 page book is a collaborative effort of Antoine Martineau-Rousseau, Pierre-Yves Collin, Gaetan Fournier, Andre Blais and Roch Lessard. 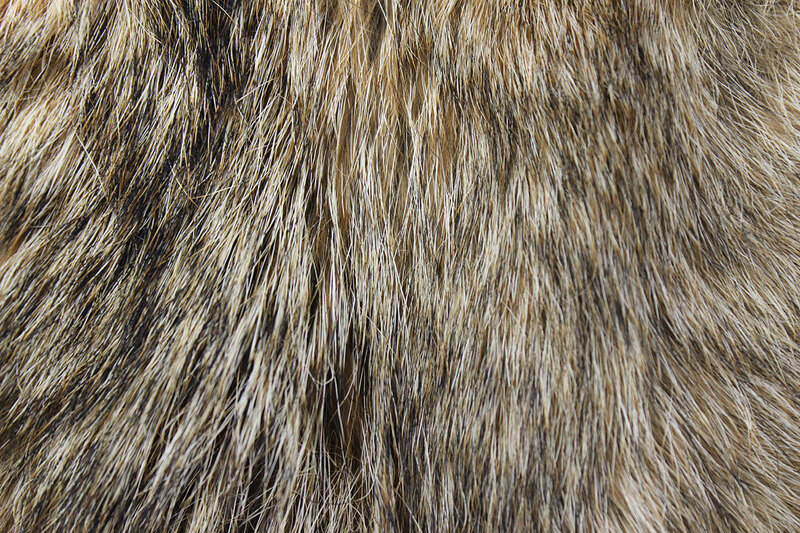 It contains detailed information and many pictures teaching and showing proper fur handling techniques. Larry "Slim" Pedersen began trapping at the tender age of eight, cleaning up on the skunks and weasels that were cleaning up the chickens in his Grandmother's chicken coop. He was running his first longline at the age of eighteen. At the age of thirty-four, Slim was living the dream of most trappers and trapping fulltime doing predator control work and fur trapping, as well as live market trapping up to the present day. Slim has carried out fur trapping or predator control trapping in Montana, Wyoming, North and South Dakota, Colorado, Idaho, Utah, California, New Mexico, Texas, Iowa, Nebraska, Maine, and Georgia. Slim has trapped coyotes, bobcats, red fox, gray fox, kit fox, badgers, skunks, weasels, fisher, raccoons, muskrats, mink, beaver, otter, and mountain lion. Use on 3/8” fiberglass poles. (Poles Not Included.) Quickly adjustable, just squeeze the legs together, adjust, and let go – It locks into place. Fits outside the coils and under the levers, holding the trap securely in place until fired. Will fit #1, #1-1/2, #1.75, #2 coils and also jump traps.